live performance during "de zevende dag" on "één"
... and last sunday, we played live during "de zevende dag" on "één". two tracks from our "maría de buenos aires" double album. interview oriana dierinck for KLARA "music matters"
last saturday, flautist and founder of the ensemble oriana dierinck was invited for a live interview in KLARA's studio with olav grondelaers in "music matters". 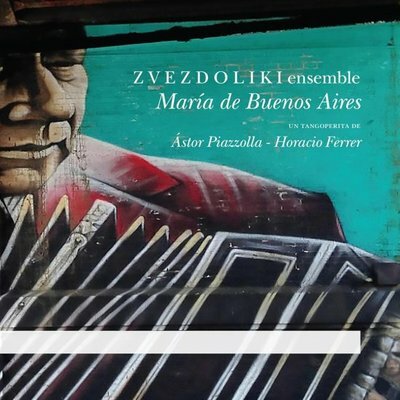 about the ensemble's future plans and off course about our new piazzolla double album "maría de buenos aires". TRAILER.. release coming closer ! RELEASE "MARÍA DE BUENOS AIRES"
october 5th, 2018, our recording of piazzolla's magnificent 'tangoperita' "maría de buenos aires" will be released on evil penguin records' label 'antarctica'. 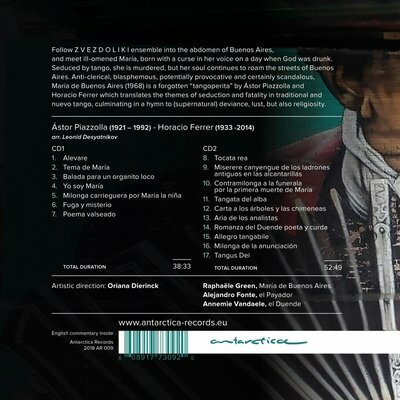 ​OUR RECORDING OF PIAZZOLLA'S TANGO-OPERITA FOR EVIL PENGUIN RECORDS' LABEL 'ANTARCTICA' WILL BE RELEASED OCTOBER 2018 ! 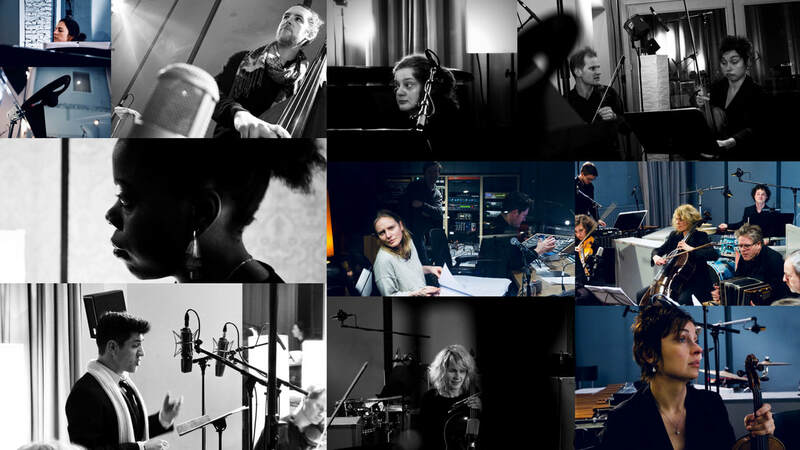 last weekend we had a fantastic and intense recording weekend at motormusic's studio in mechelen. we can't wait to present you our work! ​​ARIEN ARTS & MUSIC MANAGEMENT | "María de Buenos Aires"
last saturday, we performed cage's " 4'33" " at rooseveltplaats in antwerp..